I have been worrying a lot about keeping our stroller safe in Disneyland. So much so I write a post about it a few weeks back on How to Keep your Stroller Safe in Disneyland. I visited my parents that weekend for a family BBQ and my dad came up with a GENIUS idea. 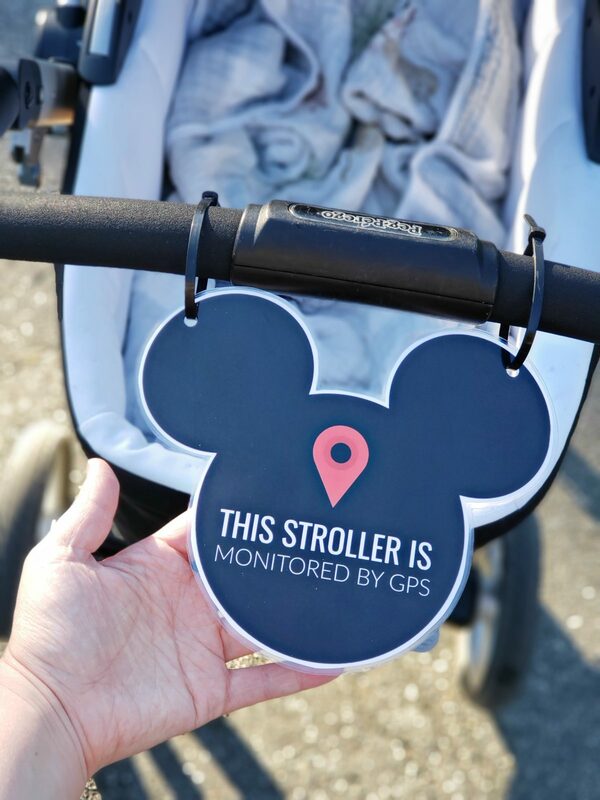 A Stroller Sign for Disneyland that advises the world that this Stroller is being tracked by GPS. In our case it is, as we have a tile connected to ours. But in anyones case, tracked or not, all you need to do is worry them. You want to make them second guess stealing your stroller since the possibility of being caught is high. YOU GUYS! My Pops’ is a GENIUS! I got straight to the drawing board and started to figure out ideas on what it would look like. The best size to make it so it would work for most ALL Strollers and Wagons. And of course wording, to ensure everyone who read it (most importantly theifs) knew to MOVE ALONG! 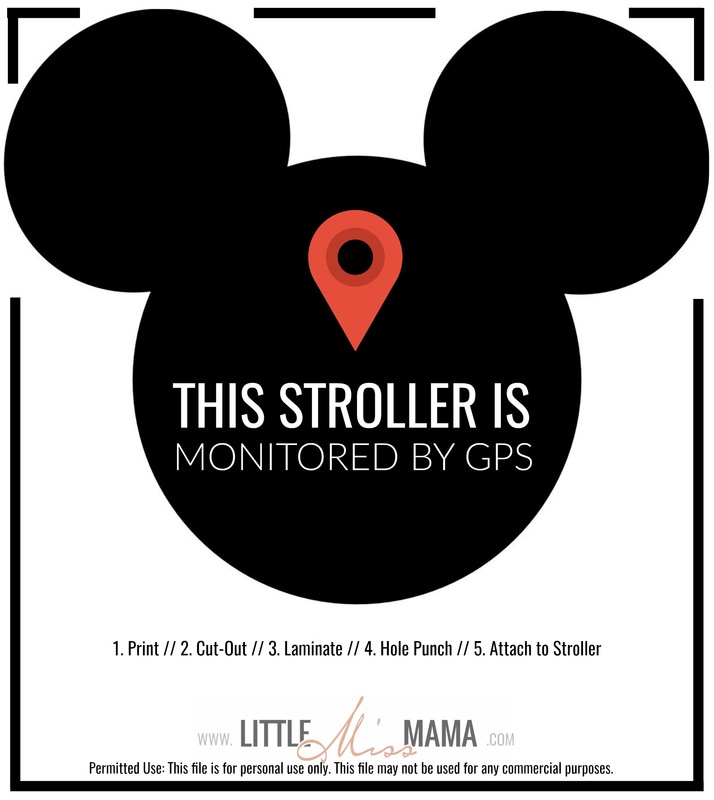 I’m telling you, if you’re going to keep your Stroller Safe in Disneyland it’s with one of these FREE Printable Stroller Signs. 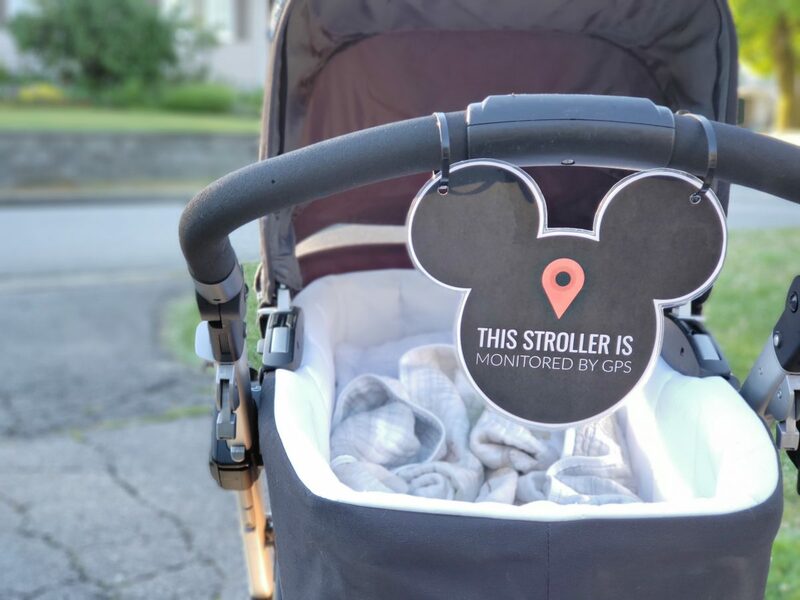 And if you want to take it one extra step, get one of these tiles (US or Canada) you can connect to your stroller to track it on you phone via GPS. I printed mine off and had it laminated in the case that we ever with Disneyland when it rains. Still the happiest place on earth, no matter the weather. AM I RIGHT?! If you’re looking for more Disneyland TIPS & TRICKS let me guide you to a few other posts we’ve done too help other’s make their Family Disneyland Vacation the best one yet! We shared some fun Disneyland Mom-Hacks like how to beat the line for Dole Whip and of course how to avoid going during the busiest time of year. I also shared the difference between the MaxPass and Photopass. Another educational post for those just learning about the new MaxPass and what you can gain for getting one for your family. More recently we shared a recipe for Dole Whip Popsicles. And even the fun way we surprised our girls with our next trip to Disneyland this October. What could be better than cmbining mermaid pillows and Disneyland? Thanks for stopping by, hope your next Disneyland Vacation is the most magical yet! Disclosure: affiliate links are located in this post. By using them I get a small commission for the sale however you will not be charged more. Brilliant! I just pinned for our November Disney trip—my family’s first-ever!